With that view, The Intercon could serve me tap water and gruel and I’d probably still be making a return booking. Thankfully, they do a whole lot better than that – and their afternoon tea set is definitely up there with Hong Kong’s stronger offerings. The food gods must have been smiling down on me, as I managed to snag an invite to their seasonal Le Chocolat Alain Ducasse Tea Set, which runs until the end of January 2015. Chocolate and afternoon tea? This couldn’t be more up my street unless it came with a bacon sarnie on the side singing Disney songs. Alain Ducasse’s cuisine is already represented at The Intercon via their Michelin-starred restaurant Spoon but now thanks to this tea set, you can get your choppers around Ducasse’s famed artisanal chocolates for the first time in Hong Kong. 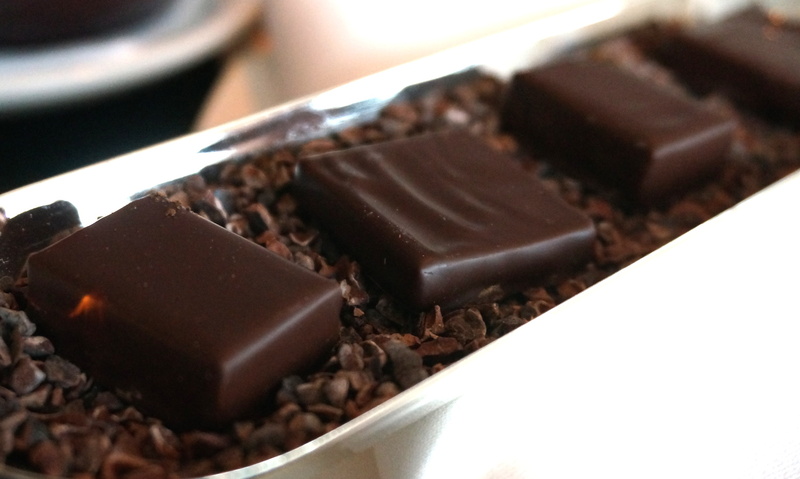 After tasting them, I soon understood why his chocolates have the reputation they do – these little slabs of ganache were just divine; velvety soft, rich but refined squares of heaven with an almost fruity lingering finish. In fact, popping one into my mouth made me want to break out into the chorus of Maria McKee’s Show Me Heaven (circa that cheesy 90s Cadbury’s advert). 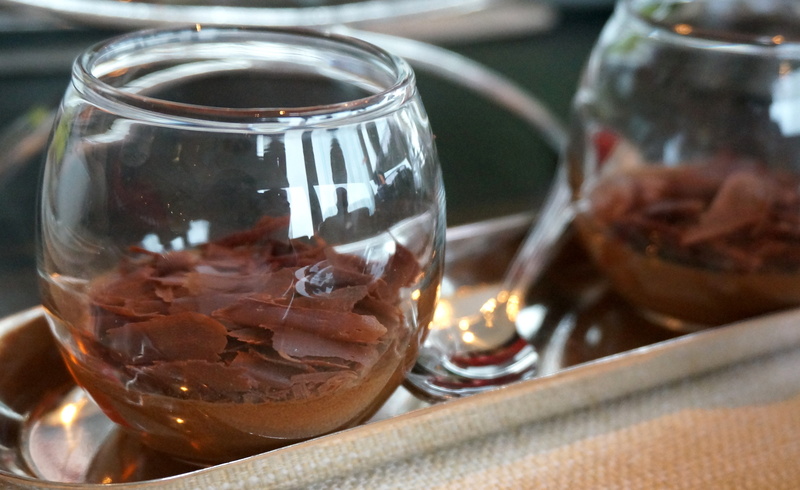 The chocolate mousse was similarly intense and wonderful, and every bit as smooth as a James Bond pick-up line – even if it was slightly too intense to finish given I still needed room for the tea set’s other treats. 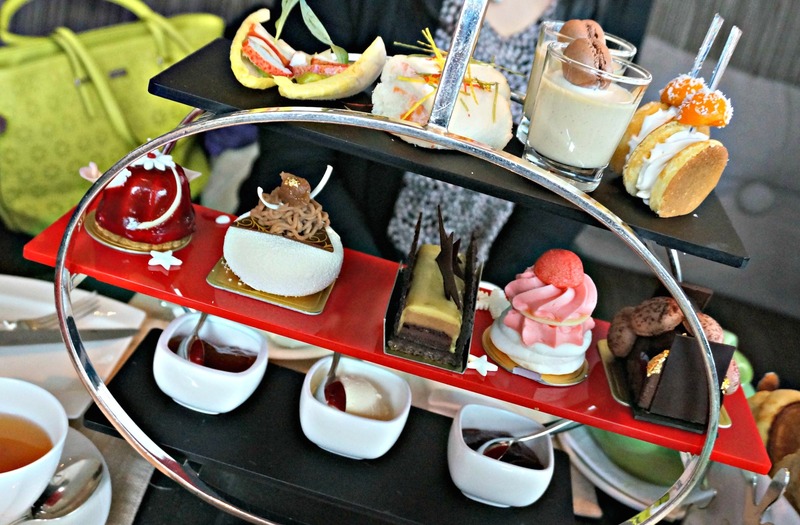 And trust me, there are plenty of those, because what I really like about The Intercon’s tea set is that it’s made for humans rather than Borrowers – namely, that each item hasn’t been run through a shrink ray before arrival at your table. All the savouries and sweets are generously sized, meaning you no longer have to get out your penknife out to attempt precision sharing of pint-sized pastries. Ducasse’s chocolate has also been integrated into two of the set’s pastries, with my vote going to the dark chocolate with crispy macarons over the chocolate praline with banana and passion fruit (I’m not a fan of most chocolate-fruit combos). Again, the chocolate is gooey, rich, heady and intense – the kind of stuff that wins women’s hearts and soothes a few broken ones too – and the contrast of textures between thick gooey chocolate and crunchy macaron is on point. Unexpectedly for this hardened chocoholic however, my favourite dessert turned out to be the cranberry and cherry cheesecake. There are so many mediocre cheesecakes to be found in tea sets here, that to eat a genuinely good one – light and fluffy but full of tangy rich flavour – was a most delicious surprise. The savouries were a little more hit and miss. I loved the Boston lobster and avocado on endive – it was nice to see a substantial (in tea set terms!) amount of lobster, and the meat was sweet, tender and exactly the kind of light refreshment needed to balance out the desserts. Similarly, the salmon tartare sandwich was perfect, full of smoky flavour and generously stuffed to the hilt with fish. Sadly, I don’t like foie gras so didn’t partake in the foie gras custard, whilst I found the yoghurt and lemongrass bread roll a bit of a strange concept, unsuccessfully straddling the savoury/sweet line. But of course, don’t forget the scones – ‘tis the season and all, so there are some gingerbread ones in addition to the usual plain and raisin varieties. Just the smell alone is scrumptious, instantly transporting you to all the best bits of Christmas minus the annoying carols and feigned looks of delight at rubbish presents; they were perhaps a tad denser than your average scone but it was worth it for the sheer deliciousness. 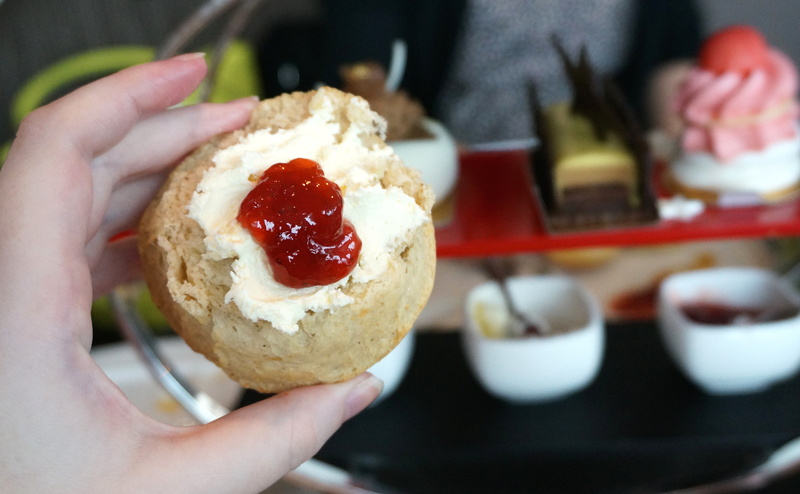 The cream here is also the real deal – Devonshire clotted cream to be exact – whilst The Intercon’s very lovely and rather unusual Earl Grey tea jelly is beautifully fragrant and infused with a delicate tea flavour. 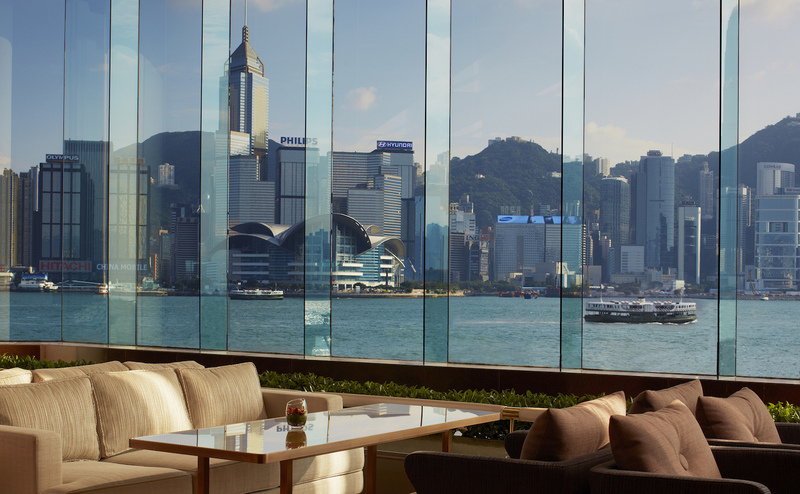 I do have some bad news though – you can’t book The Intercontinental Hong Kong’s afternoon tea, which means you have to just turn up on the day and hope for the best. But hellooooo… you saw that view right? 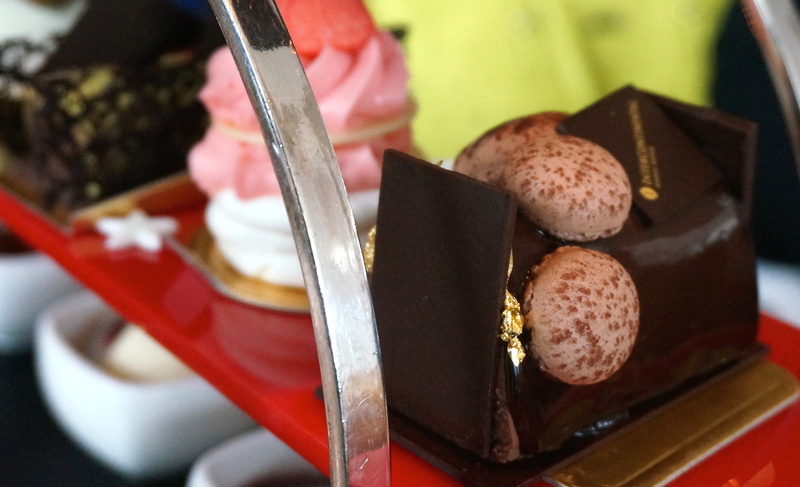 And even if you miss out on Le Chocolat Alain Ducasse, fear not as The Intercon is always mixing up their afternoon tea with new items. Based on this set, I reckon you’re in for a treat whatever the season. 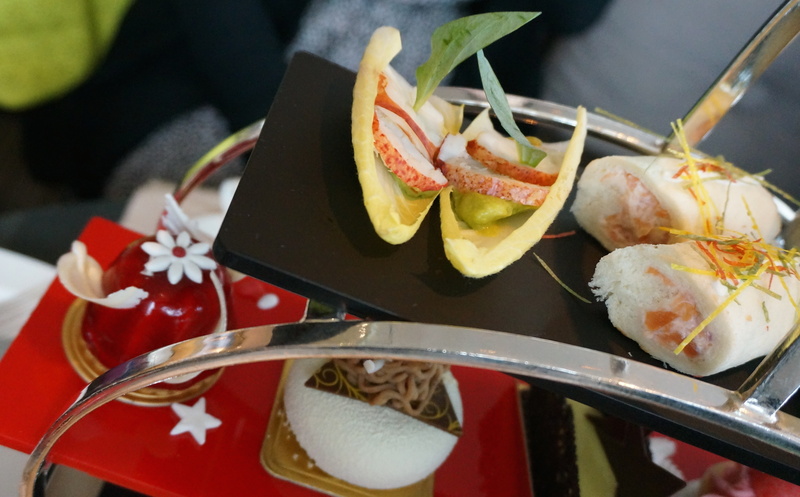 The Intercontinental Hong Kong’s Le Chocolat Alain Ducasse Tea Set runs until 31 January 2015. It costs $588 for two people on weekdays and $608 for two on weekends and public holidays. 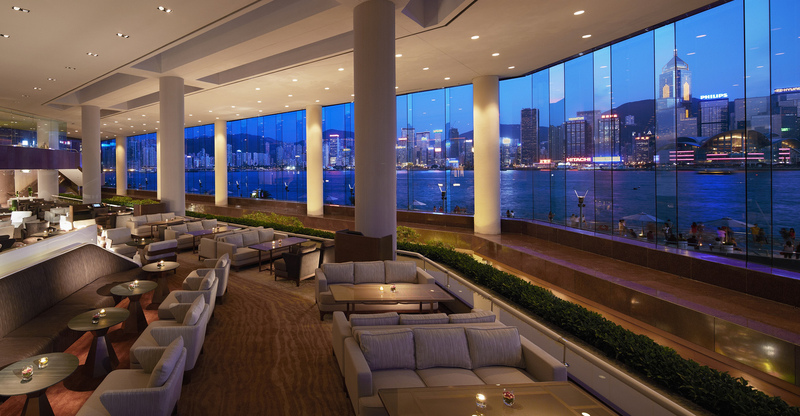 This entry was posted in Food and tagged afternoon tea, afternoon tea hong kong, afternoon tea Kowloon, afternoon tea Tsim Sha Tsui, best afternoon tea hk, best afternoon tea hong kong, best afternoon tea Kowloon, best harbourside view Hong Kong, best high tea Hong Kong, best view Hong Kong, best view Kowloon, best view Tsim Sha Tsui, high tea, Le Chocolat Alain Ducasse Tea Set, Lobby Lounge, review, tea set Hong Kong, The Intercon HK, The Intercontinental Hong Kong, The Intercontinental Hong Kong afternoon tea, The Intercontinental Hong Kong Lobby Lounge. Bookmark the permalink. Looks just as fantastic as the cocktails we enjoyed there!